...needs almost no mods. I did peel off most of the stickers and shorten the big "T-HAWK" on the wing to "AWK" for linux solidarity purposes. The one thing it did need was a switch -- the battery isn't easy to get at if you just want to turn it safely off for a short time. But as plane complaints go, that's tiny. 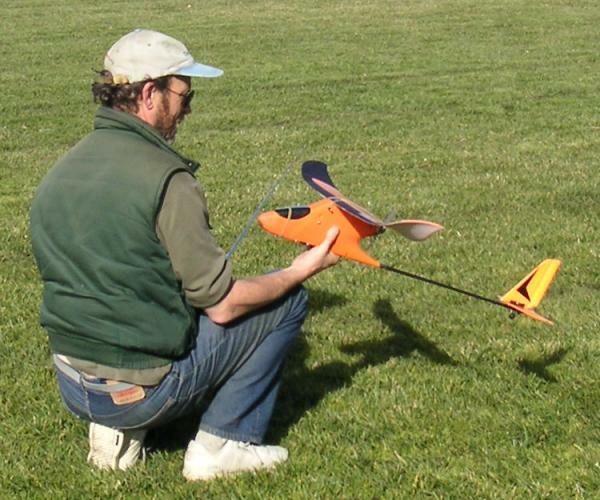 It flies well, is easy to control, glides like a dream and has easy power to get up in the air. I can't recommend a better starter plane. It's also nearly indestructable: I even nosed it into a sidewalk a full power and was flying it again the next day! Nothing to see here. Move along to more interesting (read: troublesome) planes.